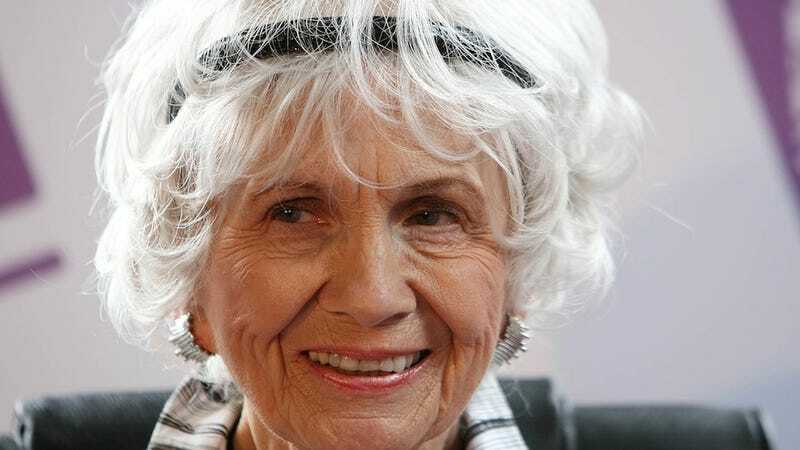 Brilliant badass Alice Munro has won the 2013 Nobel Prize in Literature, the Nobel Committee announced today. The 82-year-old Canadian short story virtuoso was incredibly Canadian about the honor, remarking that she hopes her win will draw attention to other talented Canadian writers. Classier than Lena Horne serving tea in a monocle shop, that one. Munro, who is the 13th woman to win the prize, has written more than a dozen short story collections and says she plans on retiring now that her latest, Dear Life has been published. Oddsmakers who were following the secretive Nobel nomination and selection process had Munro as a solid bet for winning this year, along with Japanese author Haruki Murakami. People will literally make bets about anything. Bonus factoid: Munro's first short story collection was published when the author was 37. Never give up on your dreams, kids.